Most of these various operations, which can be as sophisticated as you want, are defined on processing tables according to your needs. There are three such tables: (1) an "automatic" processing table which performs desired operations before each record is brought to the screen; (2) an "input" table that processes data as each new or revised record is recorded; and (3) an "output" table which is accessed as each record is used to print a report, label or form. At first glance, these processing tables look a bit forbidding. Relax; it's not difficult to get the hang of them. First of all, you don't need to use them at all if your data base does not involve any math operations. If it does, or if you're transferring a data base involving addition, subtraction, multiplication and/or division from your original Model II/12 system, all you have to do is copy your formulas from your original math table. There's nothing new to learn. It's only when and as you become familiar with Multi-User Profile, and as your needs as a user develop, that you will want to become familiar with the intricacies of the processing tables. 200 elements long. Filling them in is somewhat like writing a program in BASIC, but easier. There are only a few key words to learn and some syntax rules to follow. What you get for your efforts is total control over all input and manipulation of your data. The operator can be directed from screen to screen during data entry, prompted for this, prevented from doing that, spoon-fed the third. 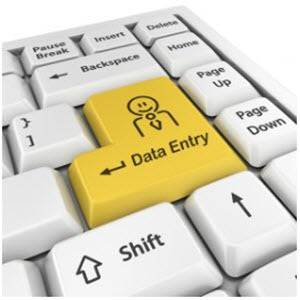 The screen creation program even lets you define the path the cursor will take during data entry and updating. In the coming months, we'll study the use of these processing tables in some detail. They constitute one of the keys to Multi-User Profile's great flexibility. They also enable you to make profoundly elegant data base operations.